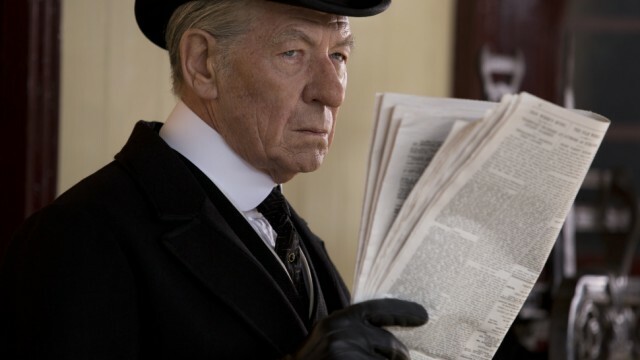 Upon seeing Mr Holmes, Glen Falkenstein describes the legendary detective's battle against his greatest foe: a complete lack of story. Maciej Radny ventures into Jurassic World, only to find that the film hates him…and you too. Bianka Farmakis caught 54: The Director’s Cut at the Sydney Film Festival and saw the film the way it was meant to be – unapologetically camp instead of conservative, with a whole lot of glitter. Glen Falkenstein delivers the latest #SFF2015 review, “Women He’s Undressed”, which covers the life and impact of Australian-born Orry-Kelly – one of Hollywood’s most influential costume designers. In a jarring homage to Alfred Hitchcock’s Vertigo, Phoenix,Glen Falkenstein finds that like so many of the great director’s thrillers, Phoenix is all about the ending. Having seen Far from the Madding Crowd at this year’s SFF, Glen Falkenstein concludes that sometimes, casting just works. Glen Falkenstein reviews the latest big, dumb disaster flick San Andreas – if you like seeing the world getting wrecked, this film is for you. Glen Falkenstein’s review of the latest entry into George Miller’s universe of Mad Max in the recently released Mad Max: Fury Road. This year marks the 200th anniversary of Waterloo (no, not the ABBA song) and Glen Falkenstein says it’s the right time to make Stanley Kubrick’s Napoleon movie. In his review of Avengers: Age of Ultron, Glen Falkenstein finds equal measures of “The Good, Bad and Ugly”, but overall finds it a whimsical, technically-accomplished, deeply-flawed enthralling beast. Focus tries to lift a lot of its game from con-artist cinematic classics like Ocean’s Eleven and The Sting…unfortunately, it still couldn’t convince Glen Falkenstein that it was a decent film.